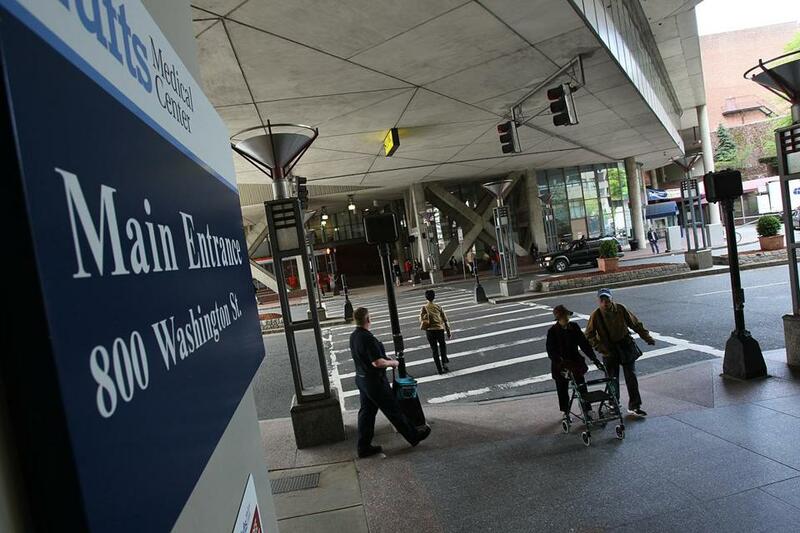 Boston Medical Center and Tufts Medical Center are considering a merger, a deal that, if approved, would be the biggest union of Boston teaching hospitals in nearly two decades. A merger would link two nonprofit hospitals that both treat many low-income patients and have endured financial struggles. BMC, the state’s largest “safety net” hospital, has an especially high number of patients on Medicaid, the government health insurance program for the poor. Tufts has tried to carve a place for itself in a city rich with world-renowned hospitals. Tufts and BMC confirmed Wednesday that they are discussing a merger but declined to detail when an agreement might be reached or how it would be implemented. Jennifer Watson, chief of staff at BMC, said a partnership with Tufts could improve health care in Massachusetts. “There is more work we need to do before making a decision, but our conversations to date suggest the combination of our organizations could strengthen our missions to provide the highest-quality care to patients for many years to come,” she said in a statement. The talks come during a time of accelerating consolidation in the health care industry. Under pressure to control costs, organizations argue they need to become larger to gain more clout and care for patients more efficiently. Earlier this year, Burlington-based Lahey Health acquired Winchester Hospital. Partners HealthCare, the state’s dominant health care system, is seeking to add three community hospitals to its network, an effort that has drawn a backlash. Steward Health Care System and Beth Israel Deaconess Medical Center have also grown through recent acquisitions. But Tufts and BMC have been mostly on the sidelines. Tufts last year lost a takeover bid for the former Jordan Hospital in Plymouth to Beth Israel Deaconess. Two months ago, Tufts merged with Lowell General Hospital and created a new parent company, Wellforce. BMC and Tufts would have many issues to consider if they merge, including who would run the new entity and how to consolidate staff and operations at their campuses, which are just over a mile apart. Tufts has 415 beds in Chinatown. It includes a children’s hospital and performs complex procedures such as heart transplants. BMC has 482 beds in the South End and has the busiest trauma and emergency department in New England. Tufts is connected with Tufts University School of Medicine, and BMC is affiliated with Boston University School of Medicine. The medical schools — which send student workers to the hospitals but do not run them — would not be part of a deal. The last merger among big Boston hospitals occurred in 1994, when Brigham and Women’s and Massachusetts General hospitals formed Partners. Two years later, Beth Israel and Deaconess, neighbors in Boston’s Longwood area, came together. Those deals represent two vastly different strategies: Partners kept its flagship hospitals separate; Beth Israel Deaconess integrated its two institutions. BMC itself is the result of a 1996 merger between Boston City Hospital and Boston University Medical Center Hospital. Only now, 18 years later, has BMC moved to fully consolidate the campuses of those two hospitals, as part of a $270 million project now underway. Tufts Medical Center has 415 beds. Tufts lost $4.9 million in the first nine months of the year, while BMC generated a surplus of about $4.9 million, according to filings. Kate Walsh, a former chief operating officer at Brigham, took the top job at BMC in 2010 and is credited with helping the hospital recover from years of financial losses. If BMC and Tufts decide to become one, they would have to submit their plans to the Health Policy Commission, a state agency that studies the effects of hospital mergers on health care spending. The commission cannot block deals, but it can refer them to the attorney general for further review. The commission found Tufts’ merger with Lowell General could lower medical costs. But it raised concerns about Partners’ efforts to acquire South Shore Hospital in Weymouth and Hallmark Health System’s hospitals in Medford and Melrose, saying those acquisitions could increase spending on medical care by as much as $49 million a year. Attorney General Martha Coakley struck a deal with Partners that would allow the acquisitions while setting price caps and other limits. A final decision on that agreement is pending in Suffolk Superior Court. 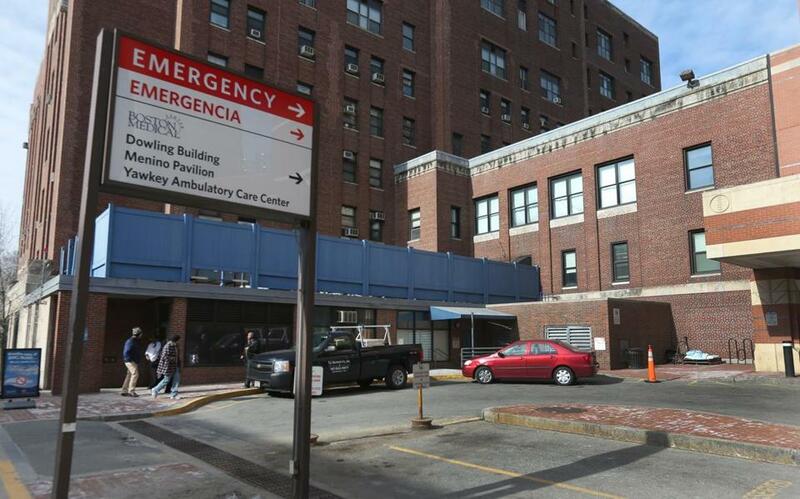 Veronica Turner, executive vice president of Service Employees International United Local 1199, said in a statement the union is concerned about how a BMC-Tufts deal might affect employees and patients. “Extreme disparities in reimbursement rates are putting incredible pressure on the health care safety net and the hospitals that care for the most vulnerable patients in our state,” said Turner, whose union represents BMC nurses, service workers, residents, and interns. As more hospitals join forces and command higher insurance reimbursements, financial pressure is growing on standalone hospitals serving low-income patients, Harvard Business School professor Robert S. Huckman said. In addition to gaining bargaining clout with insurers, merged hospitals could save money by consolidating administrative and back-office operations, Huckman said. In some cases, he said, there can also be benefits from integrating clinical programs.